What conditions does Mobic treat? Tell your doctor right away if you have any serious side effects, including: easy bruising/bleeding, persistent/severe headache, mental/mood changes, sudden/unexplained weight gain, swelling of the hands/feet, signs of kidney problems (such as change in the amount of urine), unexplained stiff neck, unusual tiredness. List Mobic side effects by likelihood and severity. Before using this medication, tell your doctor or pharmacist your medical history, especially of: asthma (including a history of worsening breathing after taking aspirin or other NSAIDs), liver disease, stomach/intestine/esophagus problems (such as bleeding, ulcers, recurring heartburn), heart disease (such as history of heart attack), high blood pressure, stroke, blood disorders (such as anemia, bleeding/clotting problems), growths in the nose (nasal polyps). What should I know regarding pregnancy, nursing and administering Mobic to children or the elderly? Some products that may interact with this drug include: aliskiren, ACE inhibitors (such as captopril, lisinopril), angiotensin II receptor blockers (such as losartan, valsartan), cidofovir, lithium, methotrexate (high-dose treatment), "water pills" (diuretics such as furosemide). Does Mobic interact with other medications? 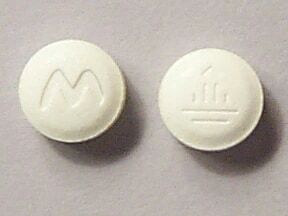 This medicine is a pastel yellow, round, tablet imprinted with "logo" and "M". 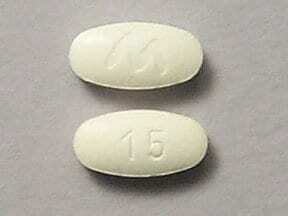 This medicine is a pastel yellow, oblong, tablet imprinted with "M" and "15". Are you considering switching to Mobic? How long have you been taking Mobic?